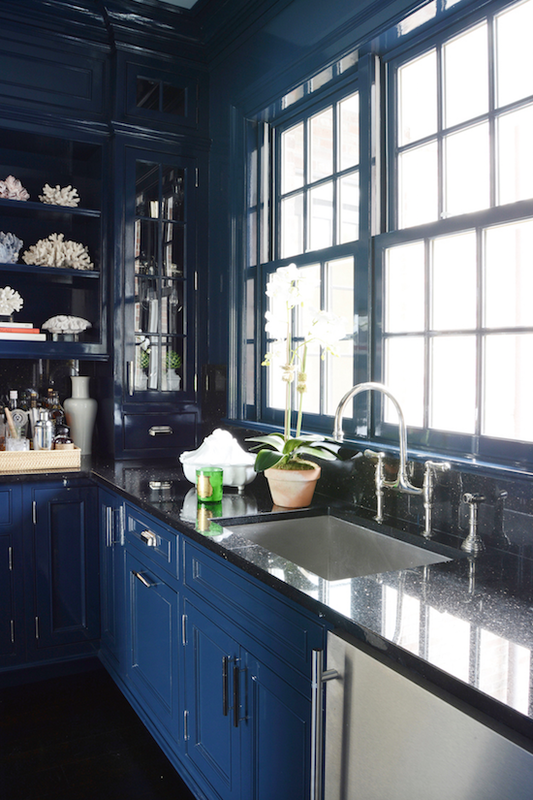 Our beautiful high gloss butler’s pantry brings me so much joy! Back when we first came to look at this house last summer, I took one look at this dark stained space and immediately painted it high gloss blue in my mind. The team at Muse Interiors helped make my vision a reality. Through trial and error and several paint swatches I chose a custom blend of Fine Paints of Europe navy mixed with about 25% white. We changed up the original hardware as well and went with these very handsome exposed hinges, bin pulls and handles from Rejuvenation Hardware. And that’s it! 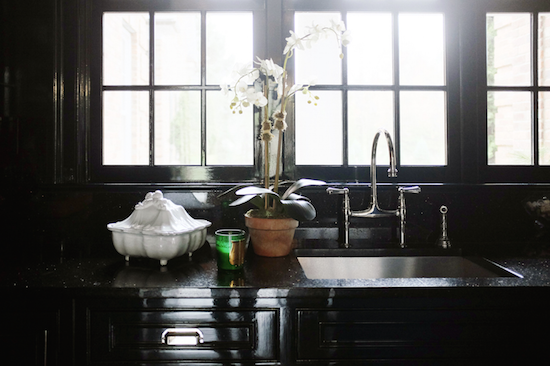 The original granite black counter tops and stainless steel sink work perfectly in the space and once I unpacked and styled up all our “stuff” (which took me several days) I was beyond happy with the end result. The dark high gloss paint and all the bright reflective surfaces here made it hard for me to photograph-but thankfully Nicole Cohen was up for the challenge and captured this spot perfectly. The last two photos show the original stained dark wood – and really help to illustrate the dramatic change that paint alone can bring to a space. Stunning! Love the dark blue! Unbelievable transformation, Sue! I love how you painted it all – the white, the wood, etc to make it really cohesive & dramatic! This space is so ridiculously stunning! I'm much more of a white-light-bright gal, but when I originally saw these photos floating around, I really did fall in love with it. It makes quite the statement and it is uber stylish! Magnificant, you have always been such an original, love your blog! Gorgeous and the high gloss blue is perfect Sue!! LOVE THIS! What kind of paint did you use to get this high gloss finish? 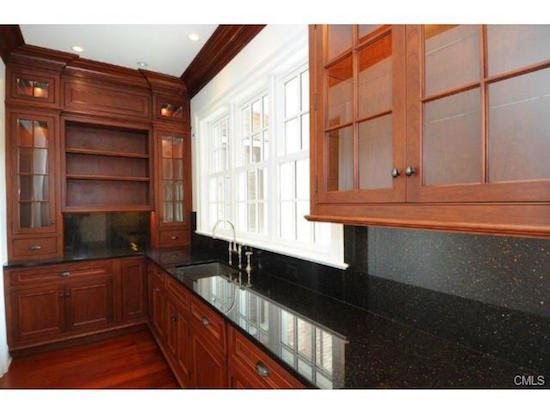 Fine Paints of Europe wouldn't do my mahogany cabinets in my library and wet bar. I would love to do this. Please let me know. Whats not to love about this space!! Home run! It is so beautiful! 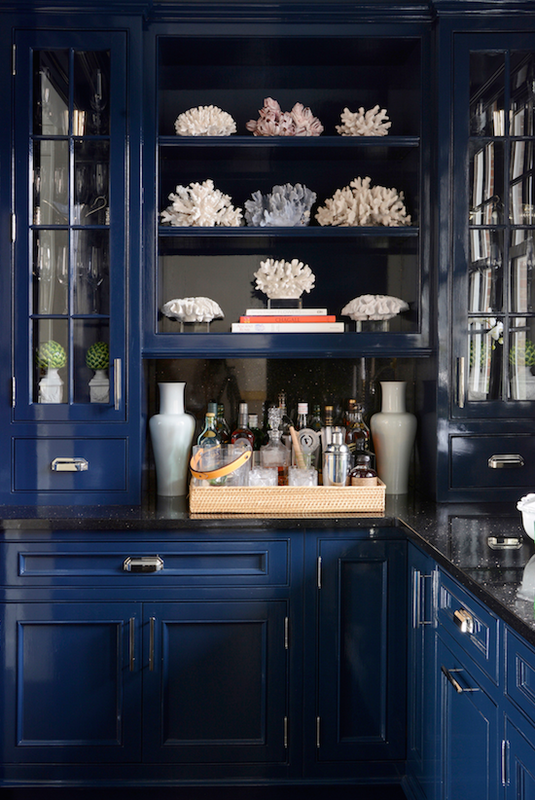 The blue makes the whle space fashionable. But the original color of the wood is also beautiful and suits your wooden floor. So pretty! Love the coral as accents as well! About to have some in the shop so I will have to share this picture when it comes in! I like to see the before, and then the after's. I can't believe it's the same space!!! It just goes to show you what good bones, and a great designer can due! The best space I've see in a long time. Beautiful!!! I love your happily blue afters. Happy endings make me cry. This is just spectacular. High gloss blue is the jam. Beautiful !! You need to come to Montreal and redo my home !! Seriously ! it really is stunning! don't you love it when an idea you have comes out just as amazing in real life? Wow, what a transformation! 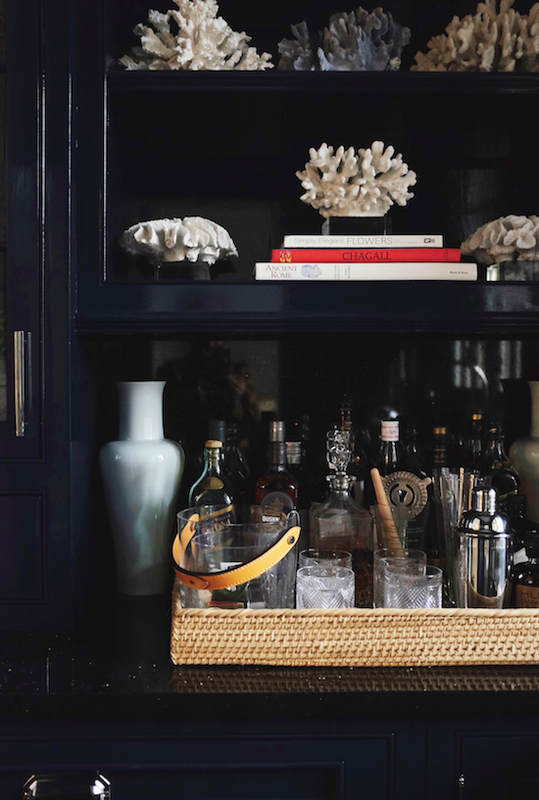 I love how you used the white coral as an accent – it really pops. 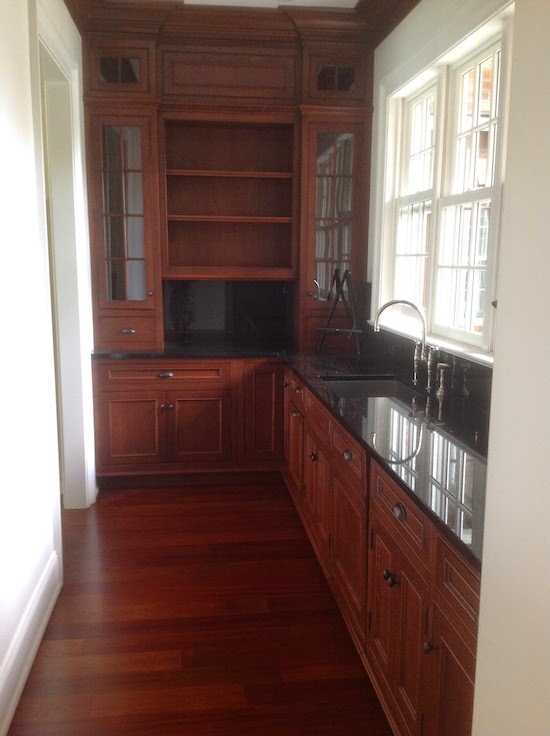 You know we loved everything about your new kitchen but every time I see this butler's pantry I am in awe…stunning, Sue!! Absolutley STUNNING, SUE!! ♥♥♥ it!